Earnest Hemingway must have known how agonizing it can be to write from painful experiences. But I didn’t bleed when I wrote “Who Stole My Future?” I bled before I wrote and began to heal after. Still, somebody died in the process. But before I get into that, check this out! (And I promise I’m not suicidal or homicidal. I’m a normal guy with a different perspective.) I’m 30 years old. I’m from Indiana… went to college in Arkansas (UAPB), and now I live in Northeast Florida. In college I helped teens get their GEDs. Most of them had kids and couldn’t go back because they were so far behind. Now, I mentor teens through Big Brothers Big Sisters. I have a pretty cool job (or that’s what people tell me, anyway) as a video editor at a TV station. I also tutored elementary and middle school students, so I love being someone positive that younger people can look to, ask questions, get advice from, etc. 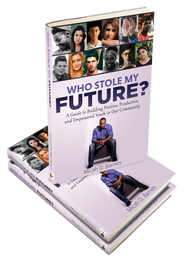 Earlier this year, I wrote a book called Who Stole My Future? : A Guide to Building, Positive, Productive, and Empowered Youth In Our Community. As I mentioned earlier, I work in the news industry, so I see videos and interviews that most people don’t see. In 2013, I saw interviews after kids were shot and killed on the street. I saw the agony in a mother’s eyes after she saw her dying son bleeding on the pavement in front of her house. I saw neighbors whose sense of security and hope in humanity was destroyed after the echo of bullets silenced those who heard them. Their future had been stolen from them. I looked in that mother’s eyes, and I saw my mother. I saw victims’ pictures and realized it could have been my picture on the news. I looked at pictures of the victims, and I saw my family. I realized it could’ve been them! Over the course of one week, kids were being shot every other day. I had enough! I didn’t see many people doing anything about the crime. I was frustrated! So, over a course of 4 months (and counting) I researched and asked civic leaders and parenting experts, “How can we combat this issue?” Should we change the way we raise our kids? . . . Change the way we teach them? . . . Change the way we communicate them? . . . Change the way we love them? The answer: All of that. Racism – I tried to start a Black Student Union in high school but was denied over and OVER and OVER with no explanation! Regret – I blew a game-winning tackle that ended our football season. 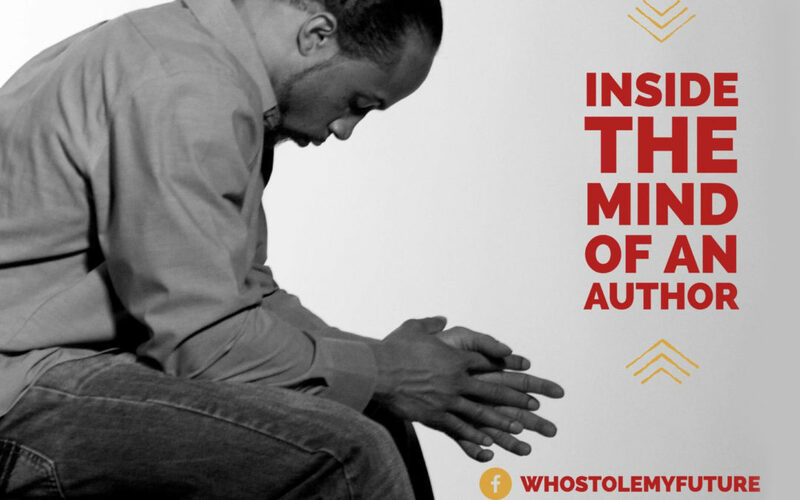 Resilience – I was robbed at 6. My passion – I discovered my passion after I was kicked out of a TV production class. A flawed education system – I learned why I hated school… and still do. If you’re curious how we can help build a positive, productive, and empowered community, please subscribe to my blog. There’s more we can learn from ourselves and from the world around us to stop the bleeding and catch the thief who continuously steals our future.